Winter is in full swing here in Northern Ontario and we have had a few snowstorms already. Courtesy of our abundance of snow, we have been doing several winter activities. 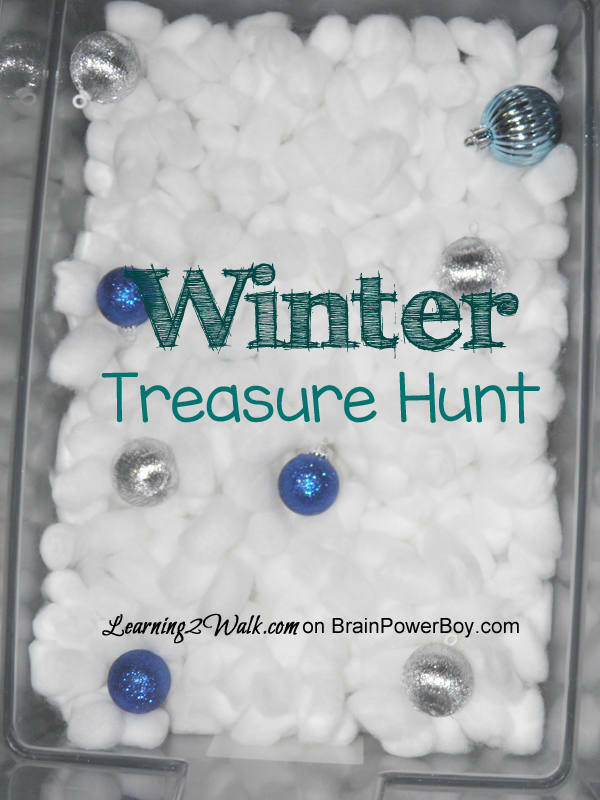 Today I will share with you one of our fun winter preschool activities that your kids can do when they are stuck in the house because of the snow. I will even share how you can adjust this activity if you do not have any snow. 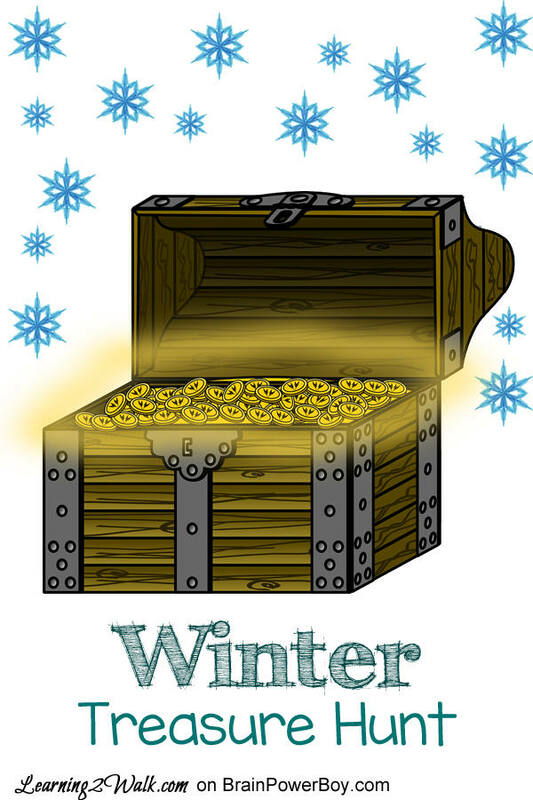 Get your treasure hunting tools ready as we are about to go on a Winter Treasure Hunt. Grab your bin (ours is a simple Sterilite 15 Qt container) and pour enough snow to act as a base for your bin. 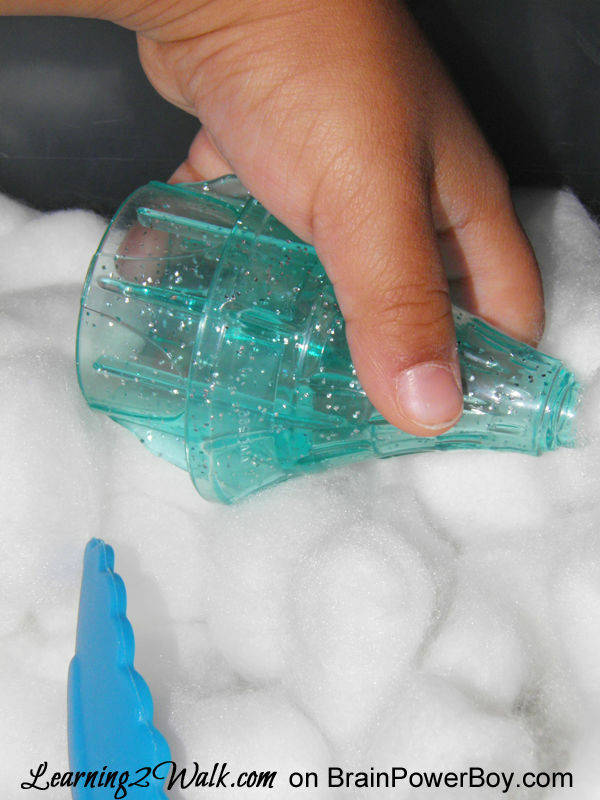 If you do not have any snow, simply grab 2 bags of cotton balls ( you can get them pretty cheap at a dollar store) and pour the contents into your bin. Next grab your treasure. I chose simple items such as a gummy fruit snack, tongs, a building block, and a crayon. These would be fun too! Simply aim to choose items that can be hidden completely in your bin. Once your preschooler has found all the treasure, feel free to give them the measuring cups and spoons and let them continue to explore. J went on to stack the cotton balls on top of each other and created a snowman. To be honest, I never thought that the cotton could stack well but it did. She then went on to make a mountain and even hid a few things herself. Once your preschooler is finished with the activity you can simply place the cotton in a ziplock bag and store it for a later date (we use this option) or if your container has a cover, simply close it and put it away until another day. Then, why not get out some Animals in Winter Books to read and extend the activity a bit. Once your sensory bin (I mean treasure chest) is put away, feel free to say words such as ‘matey’ and ‘arr’ throughout the day. We enjoy creating fun activities and writing about them on Learning 2 Walk. Happy winter! Sensory bins are fun, be sure to try Boys Learning Sensory Bins for 10 awesome bins boys are sure to love. If it is pirates and treasure hunts you want, go to our Pirates page. New to Brain Power Boy? Welcome! Please sign up for our free newsletter. Alecia, author at Learning 2 Walk, is a pastor’s wife and preschool blogging mommy of 2 darlings who is married to her best friend and side-kick, Mark. She is a proud Janadian (Jamaican + Canadian) and is a stationery addict and early childhood education enthusiast.